I was wondering why my Great grandfather left for America from the port of Bordeaux, France instead of the closer port of Naples? This was in the year 1882, is there a significance with leaving from this port. He was by all accounts a peasant. And traveling to France in those day I would imagine could be expensive. He was traveling with his younger brother and both arrived on same ship in America. His Wife and at least 1 child were still in Marsico nuovo at this time. He went back and got them a few years later. Can you post the link to the manifest? The manifest itself shows nothing. It just seems like a long journey to make. Especially with Naples so close. From what I could find about the steamship line that owned the Chateau Leoville - the routes were Bordeaux to New York and also some Naples/Palermo to New York voyages. It is POSSIBLE that the company transported passengers from Naples/Palermo to Bordeaux and then to NY. It makes sense to leave Naples and then on to France and then to NY. I couldn't see the sense in traveling all that way, when Naples was right there. the ISTG is from January. But again just saying France departure. Did they register at every port? Or did they change ships, like running through an airport to catch your connecting flight. I can't even imagine what it was like to take these voyages. 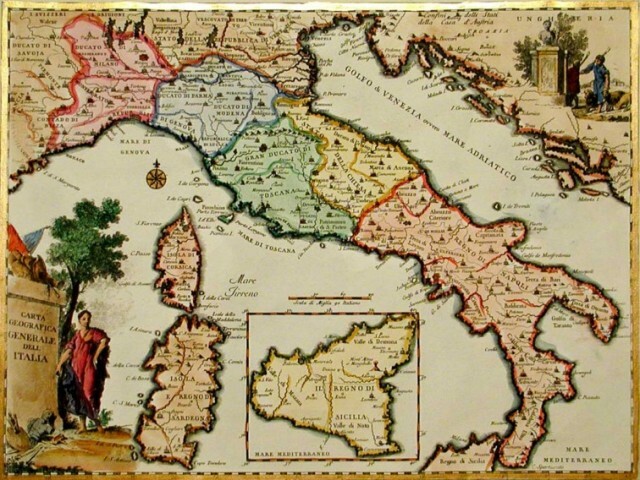 I have done research on passengers who boarded ships in Palermo, and the ships then stopped in Naples and other ports to pick up additional passengers before making the Atlantic crossing. I have also read references/situations where immigrants could not book passage from Palermo, but were able to travel by boat from Palermo to Naples to board a NY bound steamer. In some cases, immigrants had to wait in a city (such as Naples) for a day or so before the ship sailed. I agree, it is hard to comprehend the hardships some faced to make this travel. I have heard that the French authorities were more lax about travel/identity documents. If he was of an age that he should be doing military service his local authorities would not give him permission to leave. I had heard this before. And I wondered if that was the case. As far as I can tell he does not go back to Italy for another 5 or 6 years and then brings family over. I wasn't sure what conflicts were going on at that time. And this could be the very reason he goes to France.